Houston facial plastic surgeons, Dr. Kridel and Dr. Sturm are considered leading experts in facial fillers, including non-invasive Restylane treatments. At FPSA, our physicians design and perform Restylane treatments tailored to the individual aesthetic goals of men and women. Restylane is a popular hyaluronic-acid filler that adds volume and hydration to the face and lips to give patients a more youthful appearance. Designed to spread beyond the injection site, it is often used to treat areas where wrinkles are close together. Restylane is an FDA-approved, hyaluronic acid (HA) injectable filler and is designed to spread beyond the actual injection site for immediate effect with just one treatment. It is used to fill in fine lines and facial creases. A common treatment area for Restylane is the area where smile lines exist known as the nasolabial folds, the downward crease by the sides of the mouth and for lip augmentation. Young, healthy-looking skin contains an abundance of a naturally hydrating substance called HA. But as you age, sunlight and other factors can reduce the amount of HA in your skin. The lack of HA causes your skin to lose structure and volume, creating unwanted facial wrinkles and folds – like those parentheses lines around your nose and mouth. Using a dermal filler like Restylane is a safe and effective way to replace the HA your skin has lost, bringing back its volume, and smoothing away facial wrinkles and folds. Restylane lasts up to a year. At FPSA, your Restylane treatments are performed by board-certified facial plastic surgeons, Dr. Angela Sturm or Dr. Russell Kridel, or a registered nurse under the direct supervision of one of the surgeons. This provides patients with the peace of mind that they are in the hands of a physician who focuses solely on the face and neck and the procedure is done in the safety and comfort of a medical office environment. In addition, Dr. Kridel and Dr. Sturm make sure patients are comfortable and experience very little discomfort during their treatment session, so patients can be given numbing cream or a dental block if they desire. At FPSA, Dr. Kridel and Dr. Sturm take facial injections quite seriously and believe it is important for patients to have highly skilled and trained hands that can tailor injections to your specific needs with greater finesse, rather than a one size fits all approach at many medical spas. Restylane is administered by Dr. Kridel or Dr. Sturm during an in-office appointment that typically takes about 30-45 minutes. The depth, length, quantity and location of wrinkles varies for each patient. Therefore, the injection treatment, including the dosage and injection location, is tailored specifically to your facial structure and aesthetic goals. Dr. Kridel and Dr. Sturm will mark the specific areas on the face that are going to be treated with a washable marker. 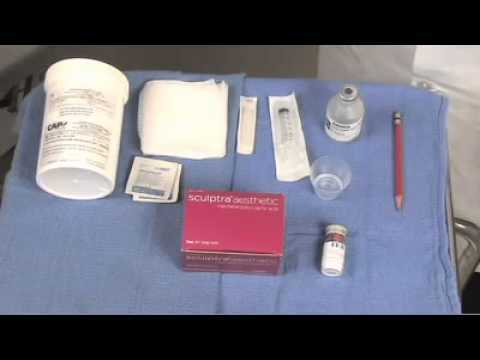 Restylane contains some numbing solution, although some patients desire additional medication. Other than feeling a tingling sensation and some visible redness in the areas of the injections, there are usually no other side effects. There is no downtime and patients can return home or to work after their appointment. The majority of patients who receive Restylane will notice immediate and often remarkable improvements after their very first treatment with results lasting up to one year. Since hyaluronic acid is a naturally occurring substance in the human body, Restylane side effects are very minimal with no missed time from normal activity. There have been major advancements in injectable fillers, which can offer a terrific cosmetic solution for patients who desire specific results without surgery. There are many different types of fillers, but the key is that they are all not interchangeable, and can be effective for different areas of the face. Restylane and Juvederm® are hyaluronic-acid fillers that are similar products by different manufacturers, and can be used interchangeably for fine lines, facial creases and lip augmentation. Radiesse® is a calcium hydroxyapatite for deeper folds. For facial depressions, there is Sculptra®, which is a polylactic acid, or Voluma™, which is a hyaluronic-acid filler. It is understandable how patients may be confused by the large number of options. That is why it is so important for patients to select a highly trained facial plastic surgery specialists, like Dr. Kridel and Dr. Sturm. During your consultation, they will evaluate your facial structure, discuss the various fillers that are available today, and design a treatment plan designed specifically for your aesthetic rejuvenation goals. Restylane treatment costs vary for each patient depending on the size of the treatment area and the aesthetic goal. Costs range between $600-$1,200 per session. Restylane is one of the more popular derma fillers used to add volume to the lips. Juvederm is the other popular filler option. Patients must be 21 years of age to receive this injection. Lip enhancement results using Restylane typically last up to 6 months. Restylane replaces lost volume on the face and can be used to correct moderate to severe facial wrinkles most commonly found from the nose to the mouth, known as nasolabial folds. These are known as nasolabial folds and laugh lines. Restylane is also commonly used around the corners of the mouth that extend downward, as well as lip enhancement. Restylane treatments will last up to a year, however some patients may choose to return between 5-9 months for a follow-up injection, particularly for the lips. We can set you up on a treatment regimen so that the results remain optimal throughout the weeks and months following each session. Although fillers, like Restylane, have proven to be a terrific solution to make skin appear younger, there are other non-surgical options to consider depending on your desired cosmetic outcome, such as wrinkle relaxers, laser skin resurfacing or laser skin tightening or a combination of fillers with one or more of these treatments. However, some patients desire a more permanent solution or have more significant signs of aging that are better addressed with facial plastic surgery. During your consultation for facial rejuvenation with Dr. Kridel and Dr. Sturm, they will do a complete evaluation to provide you with the best solution to meet your specific aesthetic goals.